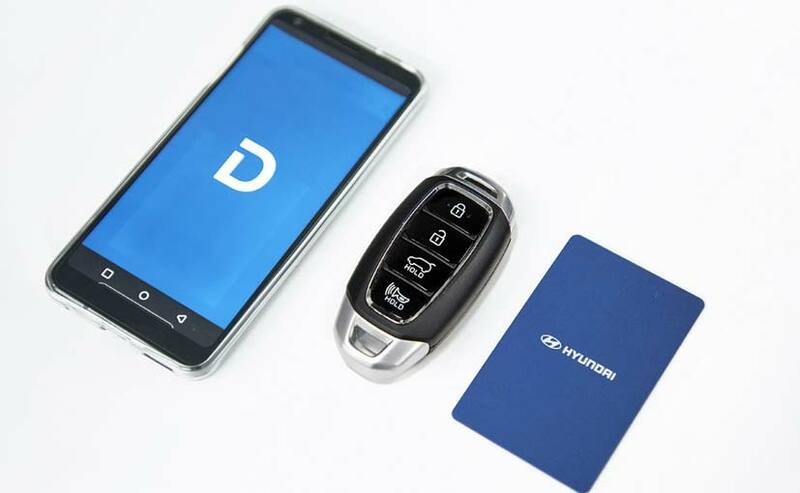 Hyundai's new digital key that can be downloaded via a cell phone app, replacing a traditional physical key. The system allows up to four authorised people to access the vehicle. 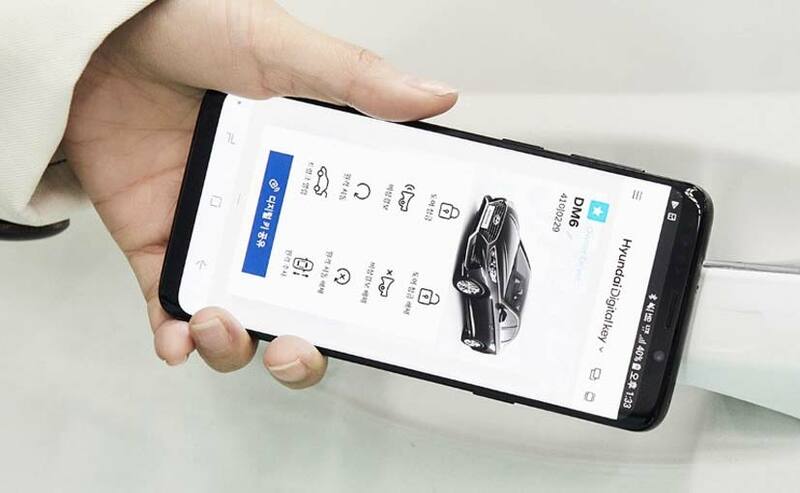 Hyundai Motor Group announced the development of a Digital Key, which allows users to unlock and start a vehicle via their smartphone. Replacing a traditional physical key, the new Digital Key can be downloaded via an app and can be used by up to four authorised people. The Digital Key can be downloaded via a cell phone application and Near Field Communication (NFC) technology detects the presence of an authorized Digital Key-enabled cellphone in close proximity to the vehicle door. NFC is a form of Radio Frequency Identification (RFID), which boasts a high level of security. The NFC wireless data communication takes place only when the device and the reader are placed several centimetres apart. The NFC antenna for entry identification is located in the handles of the driver and front passenger's doors, whilst one for starting the engine is located within the wireless charging pad. After unlocking the vehicle, the user can start the engine by placing the smartphone on the wireless charging pad in the centre console and pressing an engine Start/Stop button on the dashboard. The user's preferred vehicle settings are stored in the vehicle. When the key is recognized those settings are adjusted automatically - including the position of mirrors, seats and the steering wheel, as well as controls for the audio, video and navigation (AVN) systems and head-up display.Hyundai's Digital Key can be used to control selected vehicle systems remotely via their smartphone. Using Bluetooth Low Energy (BLE) communication, users can lock and unlock the vehicle, activate the alarm and start the engine. In addition, once the vehicles with autonomous parking features are commercialized, such features are also expected to be remotely controlled.